In our previous blog about Topeka, Kansas, the Affordable Family Storage went over a few reasons why you should consider moving there. To follow up on mapping out the perks of Topeka, Affordable Family Storage is going to go a little deeper into some trivia about the home of one of our many storage facilities. 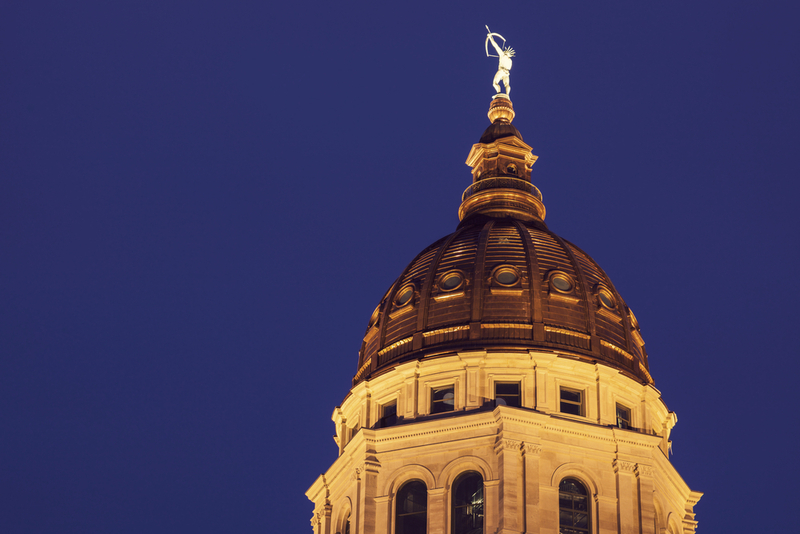 Whether you’re still on the fence about Topeka, or you already live there and are just interested to learn more, read on to find out a few fascinating facts. We’ve mentioned in a previous blog that the Affordable Family Storage team appreciates the importance of education. Well, Topeka has a unique feather in its cap when it comes to education. Topeka is home to the first-ever $1 million high school. Topeka High School was built in 1931, and the actual total cost was over a million - $1.75 million, in fact. The historic high school is still open and providing education to Topeka teenagers today. Know your American history? How about historical Presidents and their Vice Presidents? Well, Topeka was the birthplace of one of the most noteworthy Vice Presidents in US history. Charles Curtis was the 31st Vice President of the United States and served under President Hoover from 1929 to 1933. The reason this VP sticks out is he was the first Native American Vice President. Curtis’s mother was a member of the Kaw tribe, which is where the name of the state of Kansas came from. Another fun historical fact about Curtis is that he was the last person to hold the office of Vice President (or President, for that matter) to sport a mustache. Older readers of the Affordable Family Storage blog might remember MAD Magazine and its red-haired, grinning mascot, Alfred E. Neuman. What you might never have known, however, is that Alfred was inspired by a Topeka billboard for a local dentist from the 1800s. The old mascot was co-opted by the magazine that launched as a satirical comic book in 1952. What you might also not know is that MAD is still going. In fact, in April of 2018, MAD released a new “number 1” issue, refreshing its 550-issue back catalog. MAD actually began as a comic published under the EC Comics banner, but the Comics Code Authority founded the previous year presented a threat to the kind of humor it sought to publish. As a result, MAD was developed as a “magazine” to escape potential censorship by the organization. Affordable Family Storage has storage rental facilities throughout the Midwest. Topeka, KS, Jefferson City, MO, and Omaha NE are just a few examples of the beautiful locations we’ve chosen as homes for our modern, secure storage facilities. If you’re looking for storage for a move or storing valuable items and even vehicles, contact our storage rental team today.